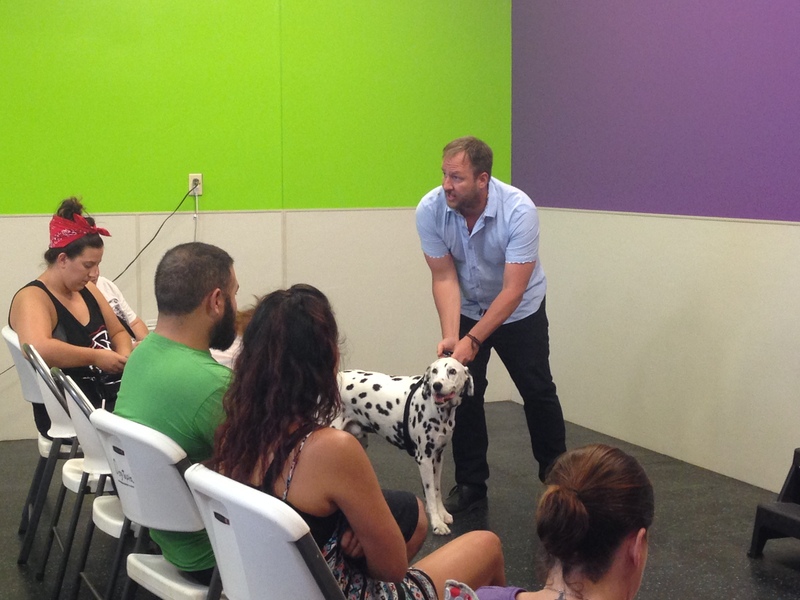 We’d like to thank everyone for coming out to the Dog Behavior Workshop we gave at Dogtopia of Omaha yesterday. As always the staff at Dogtopia did a great time setting things up and making sure everyone was taken care of. Such a great place for dogs. While this workshop wasn’t standing room only, it was close! Over 50 people isn’t too shabby for a Tuesday night. 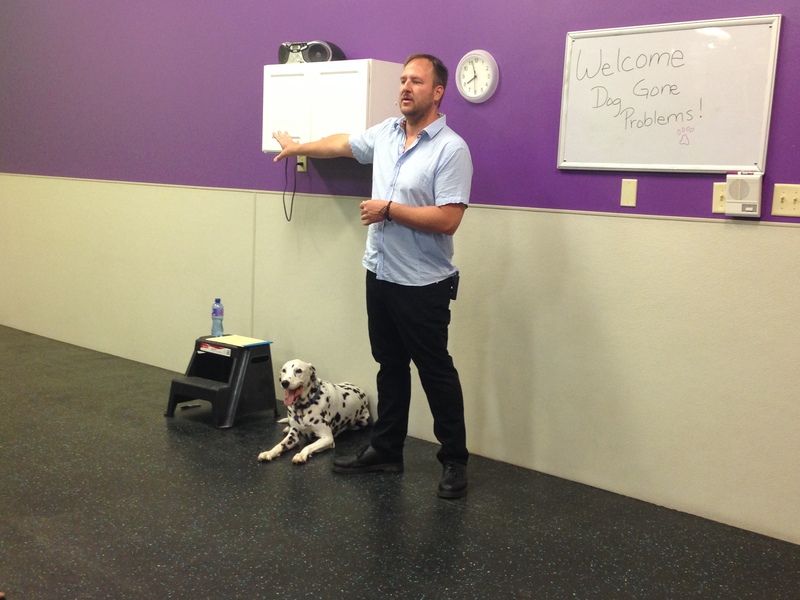 My bud Farley even lent a hand (paw) when I was demonstrating how to apply and use a Martingale collar. He looks pretty good for 11, huh? Thanks to my apprentice, the illustrious Tara Parks for helping out and snapping the pix you see here. If you missed the workshop, be sure to follow our posts on the Dog Gone Problems website or like the Facebook page so you get notified when the next workshop is scheduled.